The Annual Report gives in its introduction part an overview on the position of the glass and ceramic industry within the processing industry of the Czech Republic, its structure and development . A survey of export and import according to individual production branches creates a part of this Report. 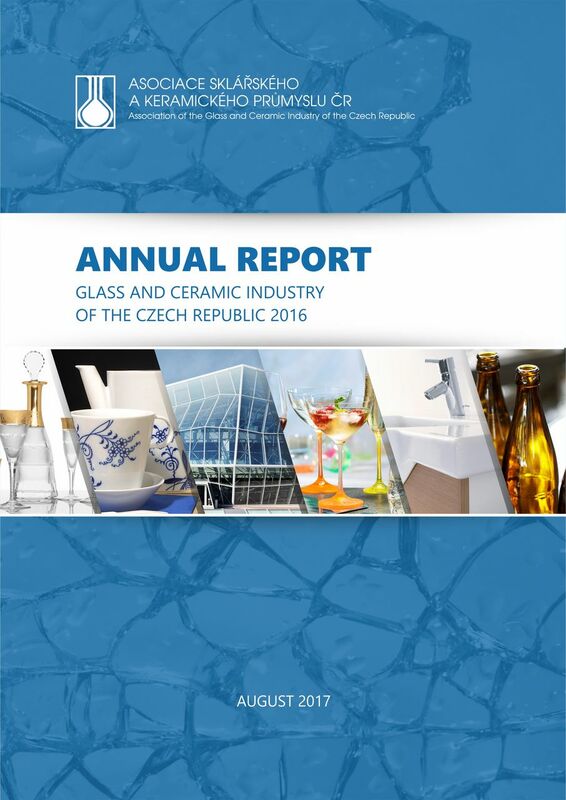 Further on, an evaluation of the activities of the Association of the Glass and Ceramic Industry of the Czech Republic in the past period is given, as well. The glass and ceramic industry is in the submitted Annual Report mostly investigated and described separately, i.e. in seven so-called groups. These groups are created by related glass and ceramic production activities as far as technology and marketing. This methodology corresponds to a method of the statistical statement in the Czech Republic.